We own/operate a weekly vacation rental and only rent from Sunday to Sunday. For golfers we offer discount cards for Avondale Golf Course. Please note: our home comfortably sleeps 4 adults and 3 children or 3 couples. Whether it's a day at the beaches, golf courses, hiking, biking, an evening at the theatre or by the bonfire, enjoying restaurants in the Village, Montague or Charlottetown, the memories you make last longer on Prince Edward Island. It's an island filled with fun and unique adventures. No matter what experience you're searching for, it's easy to find when you add a little island. Our Beach-house has been recently purchased and interior & exterior are newly renovated with new custom furniture, decor and appliances which have transformed this beach-house into an unforgettable oasis and golfers paradise. Let's call it pure seaside sophistication. Come relax in this gorgeous four season, 1300 square foot beachfront house, located on a half-acre in the picturesque Village of Murray Harbour, Eastern Prince Edward Island. Enjoy breathtaking views of the sun setting across the harbour from the comfort of one of two patios, or the enclosed sun room, as you watch the boats come and go. Our 165 foot accessible beach is all yours to enjoy for long walks, exploring and swimming. Or, enjoy the public beach which is only a 5 minute drive away (Beach Point). 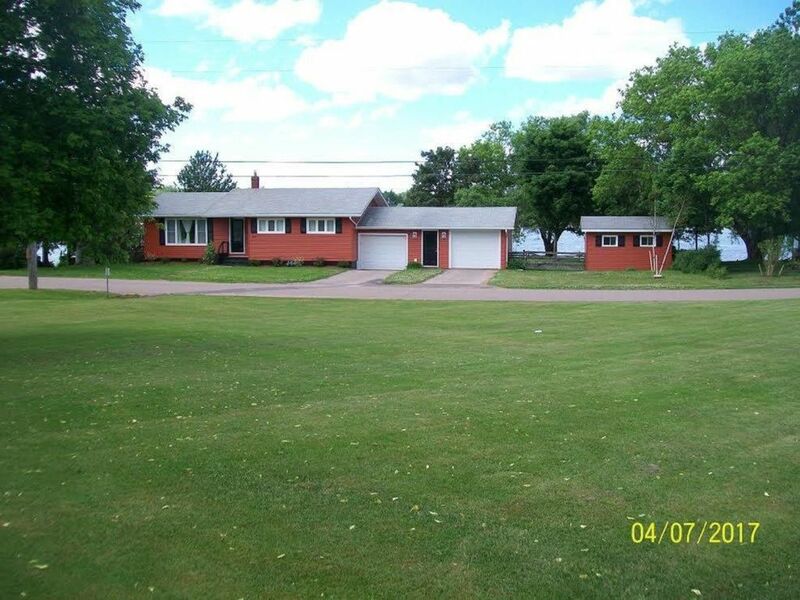 The large fenced in yard provides lots of room to enjoy bonfires, BBQ's, lawn games and much more! Restaurants, general store/liquor outlet are within a five minute walk from beach-house. This can be all yours to enjoy for a week or more! Primary renter must be 30+years of age. Once reservation is confirmed, formal rental agreement and house rules will be provided. Your reservation is considered confirmed, along with all terms in the rental agreement once background check. Facebook and/or LinkedIn details should be provided if available.